Welcome to The Brass Traps! The Brass Traps re-imagines what Swing music would sound like if it had have been invented in the 2000s. With infectious beats to get your toes tapping, and catchy lyrics to get you singing along, The Brass Traps' original songs tackle the important issues of the day, like coping with technological hassles, dreaming of being an astronaut, and basically just how to navigate modern life. 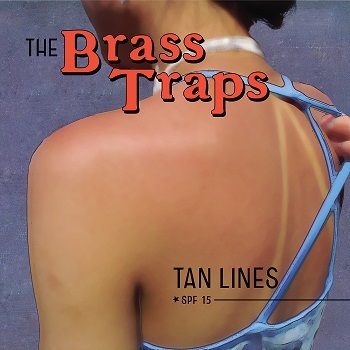 The new album, Tan Lines, is here! It's been a very exciting process to put the album together and we're very proud of it, here at Brass Traps HQ - it's with great delight to announce that it's now available! Contact Bernard to get a physical copy or catch him at a gig. The album is also available from BandCamp. The album is being launched on 29th October, see below for details. 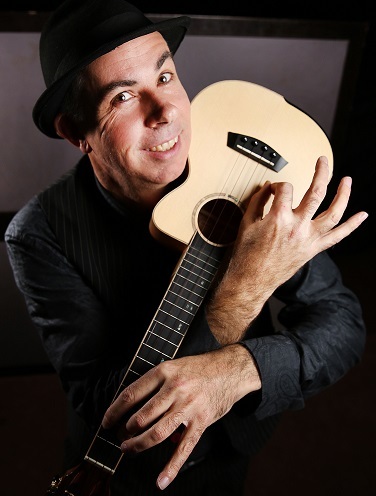 If you have a creative project that needs some fun & catchy music, feel free to get in touch! 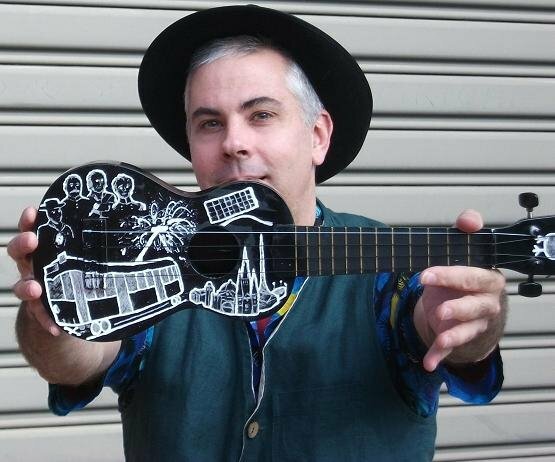 Bernard from The Brass Traps entered his song "Just A Pretty Girl" into the Sunshine Coast Ukulele Festival's songwriting competition, and was delighted to come away with a victory! Many thanks to the festival and prize sponsors. New Album Tan Lines is here!